Choosing the right neighborhood for you is one of the most crucial steps of buying a home, and there are dozens of neighborhoods in the St. Louis metro area. Many people choose to buy in St. Louis County, or the suburbs just outside of city limits. 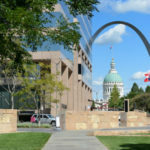 There are dozens of different neighborhoods to choose from when looking for homes for sale in St. Louis, MO, so before you start browsing St. Louis County real estate, it’s important to do a little research first. The average home price in St. Louis County is about $171,000 according to real estate website Zillow, but it’s highly dependent on the individual neighborhood. Homes in the affluent neighborhood of Ladue, for example, sell for an average of $865,000, while homes in Overland just a few miles away are worth about $84,000 on average. Each neighborhood also has its advantages and disadvantages, from crime rates to school districts to restaurants and nightlife, so be sure to research each area to decide which one is the best fit for your lifestyle. When it comes to St. Louis realty, not all real estate agents are equal. Every Realtor in St. Louis may be qualified to sell a home, but not all of them are familiar with St. Louis County and its various neighborhoods. This is why it’s important to find an agent who has bought and sold homes in your preferred neighborhood, because it means that they know the local housing market and house prices and will get you the best deal possible. Determining your ideal neighborhood in St. Louis County and finding a great real estate agent can take time and patience, but it will all be worth it once you finally move into your dream home.